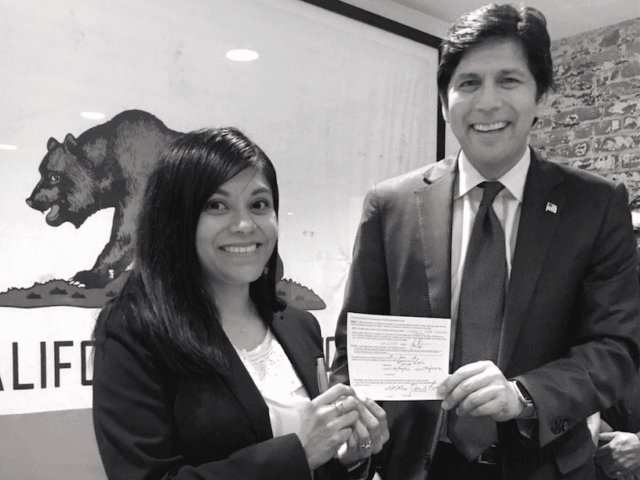 Mateo was appointed last week to the Student Opportunity and Access Program Project Grant Advisory Committee by the State Senate Rules Committee. A Trump administration official told Breitbart News on Monday: “California continues to break new ground in an effort to thumb their nose at the rule of law. Mateo was brought to the U.S. from Mexico at the age of 14 by her parents, who are also illegal aliens. Unlike other so-called “Dreamers,” Mateo is not eligible for the Obama administration’s Deferred Action for Childhood Arrivals (DACA) program. In 2013, she returned to Mexico and visited family in Oaxaca before attempting to cross the border illegally back into the U.S. as part of a protest. She was arrested and detained at the border before being released after she petitioned for asylum. Mateo is also an attorney and a member of the California State Bar. This is outrageous!! I guess U.S. citizenship doesn't mean anything anymore. What is Trump going to do about it? When is Trump going to stop catch and release and start turning them away at the border? When is the Wall going to be built? When is Trump going to END DACA...we want NO deal...we want the whole family deported! When is Trump going to Audit the IRS, Welfare and Food Stamp offices and STOP illegal aliens getting OUR taxpayer funded benefits! Fire those government employees awarding benefits to ILLEGAL aliens! When is Trump going to get illegal aliens and their anchor rats OFF our healthcare! Cut foreign aid money to Mexico and Central America from OUR budget...it is our money! Mayday and GeorgiaPeach like this. When these illegal aliens come out of the shadows, ICE should make them a high priority for deportation. This woman does not have DACA protections, so grab her and ship her out! avenger, GeorgiaPeach and imblest like this. If Trump was really outraged, why not simply pick up his phone and order ICE to immediately arrest and deport Lizbeth Mateo? Probably because he is all hot air and nobody can trust a word out of his mouth. Last edited by ALIPAC; 03-19-2018 at 05:06 PM. Beezer, avenger, imblest and 2 others like this. They are just seeing how much they can make people mad with, what they call, the "phenomenon of migration". imblest, Mayday and ALIPAC like this. 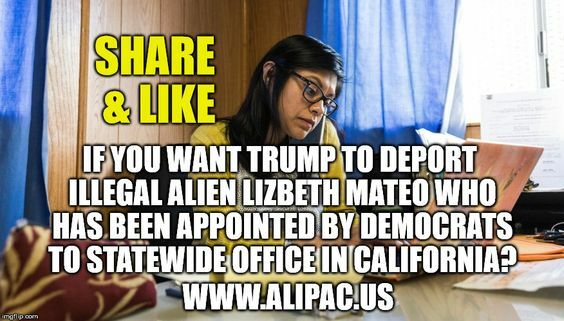 Address: Law Offices of Lizbeth Mateo, P.C.